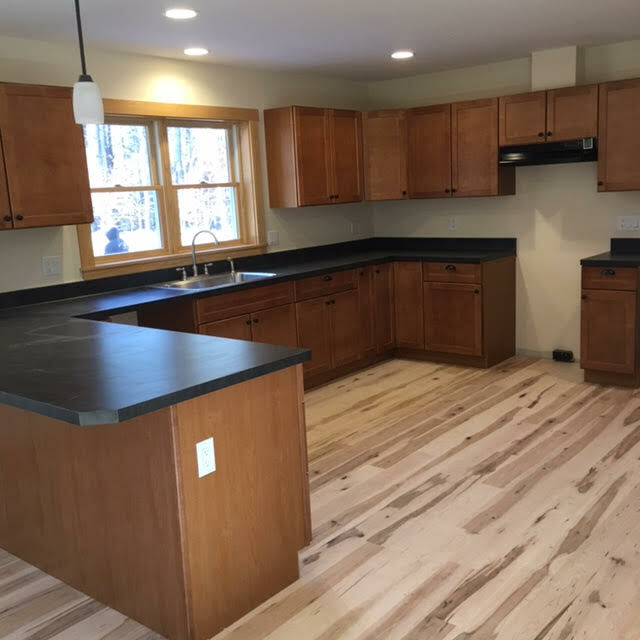 We just wrapped up our new build in Greenfield, NY. In one day, this house was delivered and had the roof installed – weren’t the neighbors surprised when they got home from work! 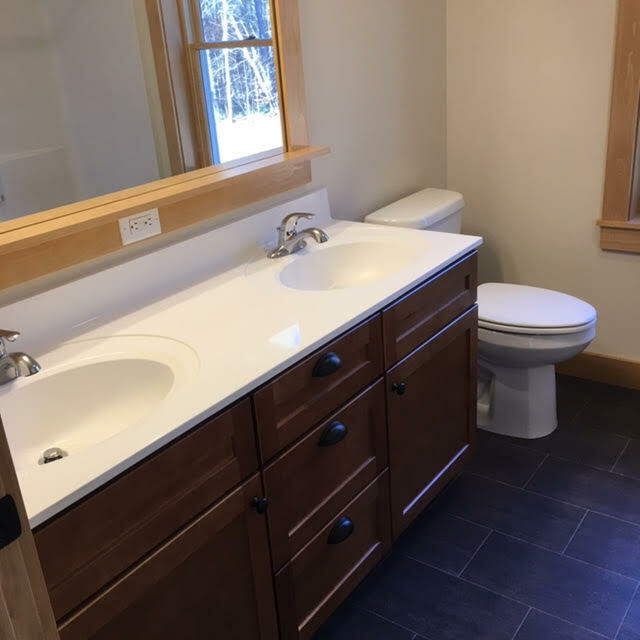 Those who follow Mansfield Custom Homes know that we strive to incorporate a systems-built approach and to use the best quality durable materials possible in every home we build. We love this home for its great floor plan and superior build features. This charming, colonial-style home was delivered using modular construction. 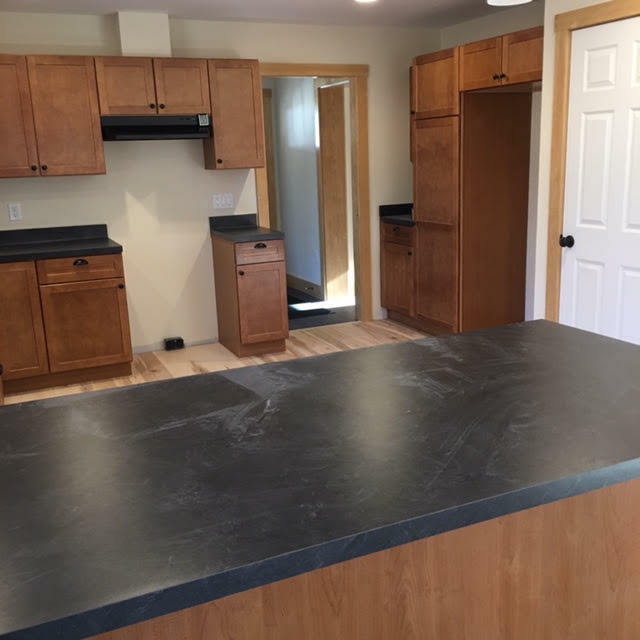 Our modules come from Huntington Homes of Vermont, one of the region’s premier builders of high quality modular homes. The home features an open floor plan with ground floor laundry, separate away room (home office) and three spacious bedrooms upstairs. 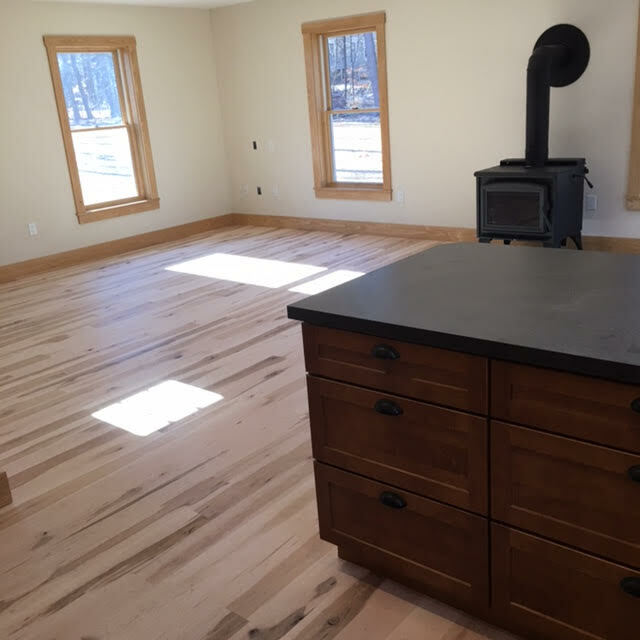 A rustic wide maple flooring and a wood stove add to the charm of this home. When it comes to technology and energy efficiency, this home has a high performance insulation package, high performance windows, and uses Mitsubishi Hyper Heat mini splits for heating and cooling. No OSB plywood was used during construction and all products are very low to no VOC.